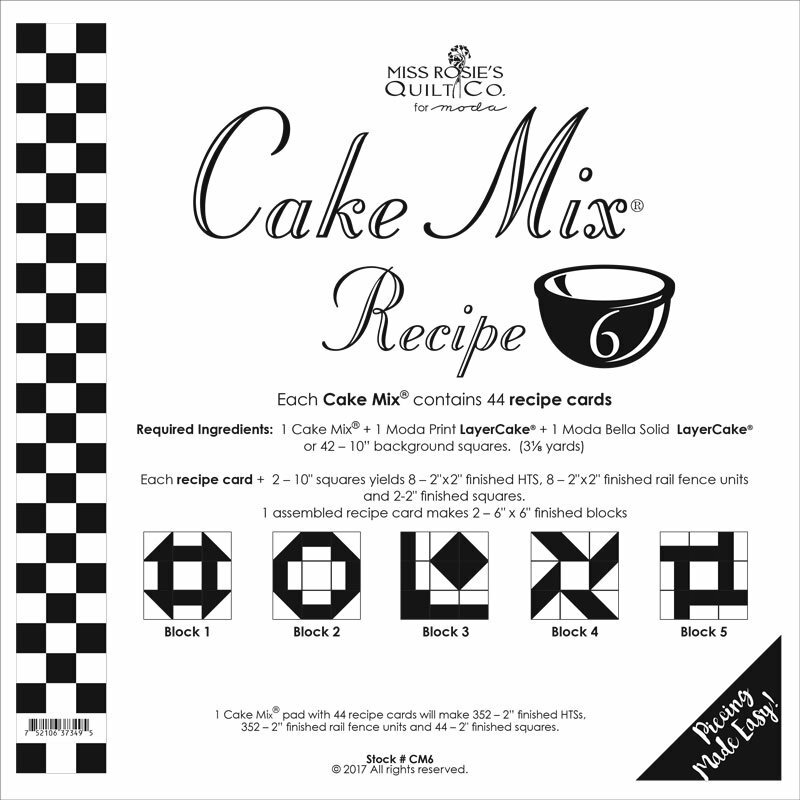 Each Cupcake Mix contains 44 recipe cards. Use with charm packs. Paper piecing, Foundation piecing. Moda exclusive.